Later that year he won a history exhibition at Jesus College. At Oxford University he came under the influence of his socialist history tutor, G. D. H. Cole. Wilson later wrote in his memoirs: "I had long held G.D.H. Cole in high regard and found this closer contact with him most congenial. He was a good-looking man, of medium height with a good head of hair, and most attractive in speech and address, except for the manner of his lectures. I had attended a number of them, which he delivered at great speed, eyes down, without a single note. His special subjects were economic organization and history, and he concentrated on these. I was left to teach economic theory, not the area I preferred. I took to spending most Tuesday and Wednesday evenings with him, helping with copy for and proofs of his articles for the New Statesman and Nation. When the work was finished, he used to pour out for each of us a glass of Irish whisky, which he preferred to Scotch. On one of these occasions he was celebrating his fiftieth birthday. He announced that he had made a resolution, to foreswear all reading of books and concentrate on writing them. He was already publishing at least one a year in addition to his other writings. For the most part they were highly topical and dated rather quickly but some, particularly those on economic history, have survived." "He (Wilson) had progressed in March of that year from his job as parliamentary secretary to the Ministry of Works to being secretary for overseas trade within the Board of Trade, under the presidency of Sir Stafford Cripps. Wilson was very much a Cripps man at this stage, and it was the patronage of that ascetic lawyer, whose political star in 1947–50 was rising as fast as his health was declining." (24) Two years later, Wilson entered the Cabinet as President of the Board of Trade. He therefore became the youngest minister since William Pitt. As a result of the Korean War the British government came under pressure to increase defence spending. Clement Attlee eventually agreed to increase the British defence budget from £3,400 million to £4,700 million. Harold Wilson disagreed with this policy as he thought that any attempt to reach the target would be disastrous to the British economy. Aneurin Bevan (Minister of Health), John Strachey (Secretary of State for War) and John Freeman (parliamentary secretary at the Ministry of Supply) agreed with Wilson but Gaitskell insisted that he would be able to find the money to pay for the increased spending on defence. In a speech he made in the House of Commons Bevan explained why he had made the decision to resign. He began by examining Gaitskell's proposal to increase the government's defence spending. "The figures in the Budget for arms expenditure are based upon assumptions already invalidated. I want to make that quite clear to the House of Commons; the figures for expenditure on arms were already known to the Chancellor of the Exchequer to be unrealizable... I begged over and over again that we should not put figures in the Budget on account of defence expenditure which would not be realized... I therefore say with the full solemnity of the seriousness of what I am saying that the £4,700 million arms programme is already dead. It cannot be achieved without irreparable damage to the economy of Great Britain and the world." Bevan then went on to look at the cuts to the National Health Service: "The Chancellor of the Exchequer in this year's Budget proposes to reduce the Health expenditure by £13 million - only £13 million out of £4,000 million... If he finds it necessary to mutilate, or begin to mutilate, the Health Services for £13 million out of £4,000 million, what will he do next year? Or are you next year going to take your stand on the upper denture? The lower half apparently does not matter, but the top half is sacrosanct. Is that right?... The Chancellor of the Exchequer is putting a financial ceiling on the Health Service. With rising prices the Health Service is squeezed between that artificial figure and rising prices. What is to be squeezed out next year? Is it the upper half? When that has been squeezed out and the same principle holds good, what do you squeeze out the year after? Prescriptions? Hospital charges? Where do you stop?" Some people thought that Harold Wilson was in danger of losing his seat in Huyton in the 1951 General Election. However, his campaign to protect the National Health Service from government cuts was popular with the electorate and he in fact increased his majority from 1,193 in 1950 to 2,558 in 1951. The Labour Party was less successful and lost 20 seats. The Conservative Party formed the next government and Winston Churchill became the new prime minister. 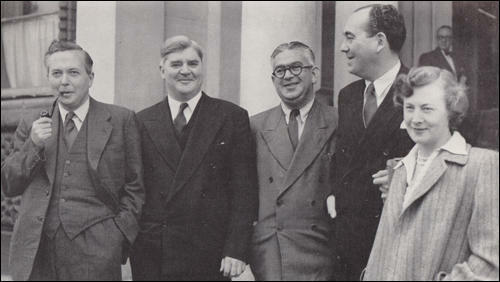 The Bevanites were popular with rank and file members and in October 1952 Wilson was elected on to the National Executive of the Labour Party at the year's National Conference. Crossman, Aneurin Bevan, Barbara Castle, Tom Driberg and Ian Mikardo were also successful. They knocked off senior figures on the right of the party such as Hugh Dalton and Herbert Morrison. At the conference Wilson made a passionate speech demanding cuts in defence spending. When Clement Attlee resigned in 1955, Hugh Gaitskell became the new leader of the Labour Party. Wilson did not think Gaitskell made a good leader of the party. In his memoirs he argued: "Hugh Gaitskell had many fine qualities, including unswerving loyalty to his close band of friends and to the principles of economics as he interpreted them, together with great personal charm. But once he came to a decision, a remarkably speedy process associated with great certainty, the Medes and the Persians had nothing on him. Whether the argument took place in the Shadow Cabinet or the National Executive, any colleague taking a different line from his was regarded not only as an apostate, but as a troublemaker or simply a person lacking in brains." Some members of MI5 believed that Wilson was a Soviet agent. Anatoli Golitsyn also told them that Hugh Gaitskell had been poisoned by the KGB. Peter Wright, a senior figure in MI5, explained in his biography Spycatcher: "The story started with the premature death of Hugh Gaitskell in 1963. 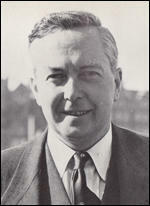 Gaitskell was Wilson's predecessor as Leader of the Labour Party. I knew him personally and admired him greatly." Wilson had more difficulty with the economy and in November, 1967, his Chancellor of the Exchequer, James Callaghan, was forced to devalue the pound. In 1968 Cecil King, the publisher of the Daily Mirror, became involved with Peter Wright of MI5 in a plot to bring down the government of Wilson. Wright claimed in his memoirs, Spycatcher (1987) that "Cecil King, who was a longtime agent of ours, made it clear that he would publish anything MI5 might care to leak in his direction." Hugh Cudlipp arranged for King to meet Lord Mountbatten, the recently retired Chief of the Defence Staff, who had been privately highly critical of the defence cuts made by the government. Solly Zuckerman, the government's scientific adviser, was also invited to attend the meeting on 8th May. According to Cecil King's account in his memoirs, Without Fear or Favour (1971), when he told Mountbatten of his plans, he replied that "there is anxiety about the government at the palace, and that the queen has had an unprecedented number of letters protesting about Wilson". According to Stephen Dorril and Robin Ramsay, the authors of Smear! Wilson and the Secret State (1992): "King then delivered a version of his preoccupations at the time - approaching economic collapse and ineffective government, with a Prime Minister no longer able to control events. Public order was about to break down leading to social chaos. there was a likelihood of bloodshed in the streets." At this point Zuckerman got up and said: "This is rank treachery. All this talk of machine guns at street corners is appalling." He also told Mountbatten to have nothing to do with the conspiracy to overthrow Wilson. Two days later, King published an article in the Daily Mirror under his own name entitled "Enough is enough". It read: "Mr Wilson and his government have lost all credit and we are now threatened with the greatest financial crisis in history. It is not to be resolved by lies about our reserves but only by a fresh start under a fresh leader." Three weeks later the directors of International Publishing Corporation unanimously dismissed King. By the end of the 1960s, with unemployment and inflation increasing, Wilson's popularity declined and the Conservative Party, led by Edward Heath, won the 1970 General Election. Heath successfully led Britain into the European Economic Community (ECC). However, many in his party was unhappy with this policy and it created deep divisions that lasted for over thirty years. Edward Heath also came into conflict with the trade unions over his attempts to impose a prices and incomes policy. His attempts to legislate against unofficial strikes led to industrial disputes. In 1973 a miners' work-to-rule led to regular power cuts and the imposition of a three day week. Heath called a general election in 1974 on the issue of "who rules". He failed to get a majority and Wilson and the Labour Party were returned to power. When Harold Wilson returned to power in 1974 Peter Wright once again became involved in a plot against the Labour government. It was suggested that MI5 files on Wilson should be leaked to the press. Wright was eventually persuaded by Victor Rothschild not to take part in the conspiracy. Rothschild warned him that he was likely to get a caught and if that happened he would lose his job and pension. In 1975 Wilson decided to hold a referendum on membership of the European Economic Community. Wilson allowed his Cabinet to support both the Yes and No campaigns and this led to a bitter split in the party. Wilson's government again had trouble with the economy. Faced with the prospect of having to get a loan from the International Monetary Fund, Wilson came under increasing attack from all sections of the Labour Party. Wilson was also suffering from the early signs of Alzheimer's Disease and in 1976 decided to resign from office and was replaced by James Callaghan. Wilson was knighted in 1976 and was created Baron of Rievaulx in 1983. Harold Wilson died in 1995. I had long held G.D.H. Cole in high regard and found this closer contact with him most congenial. He was a good-looking man, of medium height with a good head of hair, and most attractive in speech and address, except for the manner of his lectures. I had attended a number of them, which he delivered at great speed, eyes down, without a single note. His special subjects were economic organization and history, and he concentrated on these. I was left to teach economic theory, not the area I preferred. I took to spending most Tuesday and Wednesday evenings with him, helping with copy for and proofs of his articles for the New Statesman and Nation. When the work was finished, he used to pour out for each of us a glass of Irish whisky, which he preferred to Scotch. On one of these occasions he was celebrating his fiftieth birthday. He announced that he had made a resolution, to foreswear all reading of books and concentrate on writing them. He was already publishing at least one a year in addition to his other writings. For the most part they were highly topical and dated rather quickly but some, particularly those on economic history, have survived. It was G.D.H. Cole as much as any man who finally pointed me in the direction of the Labour Party. His social and economic theories made it intellectually respectable. My attitudes had been clarifying for some time and the catalyst was the unemployment situation. I had seen it years before in the Colne Valley, with members of my class jobless when they left school. My own father was still enduring his second painful period out of work. My religious upbringing and practical studies of economics and unemployment in which I had been engaged at Oxford combined in one single thought: unemployment was not only a severe fault of government, but it was in some way evil, and an affront to the country it afflicted. When Wilson was President of the Board of Trade I found him moderate in his views - at times too moderate for my liking. His Anti-Monopolies Act was something of a compromise and therefore not too effective. He appeared to get inordinate pleasure out of his bonfire of economic controls. In the main he was right, but I consider that, in view of the economic situation at the time, he overdid it. At that time he would certainly not have been classed as left-wing, but his resignation in company with Bevan over the Health Service rumpus, was an obvious left-wing gesture. He had taken little or no part in the row, and his resignation left us speechless with surprise. Was the move from an ardent conviction? Or was it because he felt that Bevan's resignation would in due course bring victory and it would be advantageous for Wilson to be in such company? If the latter were the case it was a passing sentiment. Ostensibly a member of the Bevanite group, Wilson did not find it impossible to accept the seat on the Parliamentary Committee left vacant when Bevan resigned. Perhaps the most realistic classification for this able economist and clever debater is that he is a Wilsonite. Since the opening of the new session the Bevanites had sought to organize themselves into a more effective parliamentary group. On the suggestion of lan Mikardo and on the precedent of the Keep Left group, it was agreed to elect a regular chairman - Harold Wilson was the first - and to meet at a regular time in the parliamentary week: 1.30 on Mondays. None of those participating in these secret rites thought at the outset that they might be indulging in some scandalous Mau Mau activity - (none at least except the compulsive informer in our midst who reported our proceedings regularly to Hugh Dalton and thereby to the Whips). Unofficial groups had existed in Parliament ever since the first Witenagemot, and the Bevanites of the early 1950s imagined they were following a more recent precedent set by others, notably the XYZ Club, which had been talking politics over exclusive dinner tables since its foundation by Douglas Jay and a few others in the early 1940s. No one, after all, had ever suggested that the Keep Left group should be outlawed. By January 1952 the new Bevanite arrangements were in full working order and the agenda was crowded. When the Finance Bill was tabled, it contained the fateful clause. Bevan was on a speaking engagement in East Anglia. He rang me up to say, 'I am resigning. They've introduced the Bill.' The next day he sent in his resignation letter. To the last he was pressing John Freeman and me not to resign, and Freeman records that he would have stayed on but he felt he had to resign when I did. Mary remembers how I agonised about my own resignation, walking up and down the bedroom floor all night trying to make up my mind. I was under some pressure to stay in the Cabinet and maintain a presence, if only to fight the battle from within. What formed no part of my thinking, although I have been challenged on it, was the calculation that the Government was disintegrating and that I would do well to put down a marker for the future. At the time it looked far more like an act of political suicide, but the issue on which I resigned was different from Nye's. His own speech to the House was sadly miscalculated. For once he should have had a script. As it was, banal interruptions and barracking from the Conservative benches, and murmurings from a few on his own side, provoked him to extravagance in his choice of words. One thing was certain: he could not speak for me. The following morning we went to Ernie Bevin's memorial service and in the afternoon I made my own statement, which was quietly received. I was careful to say that although I personally found it necessary to leave the Government, I intended both inside and outside the House to do everything in my power to support the Party and the Government in the difficult times that lay ahead. In this unhealthy atmosphere, the Gaitskellites were seeking their revenge. Their leader, far from discouraging them, was spurring them on, and some were aiming at expelling those who disagreed with him. A few of us, Barbara Castle, lan Mikardo and myself, felt that we should form a small tight group to work out our strategy and our week-by-week tactics. I was elected leader. We met at half-past one every Monday. I set myself the task of resisting extremism and provocative public statements. For MPs to meet in unofficial groups, getting together informally, as distinct from in committees and sub-committees set up by the House of Commons itself, is probably as old as Parliament itself. King John could have written a thesis on the subject. But this was too much for Hugh Gaitskell, who would have been better advised to acknowledge that he led an unofficial group of his own. Immediately after the annual conference at Morecambe in 1952 he found his voice. In a speech at Stalybridge, he repeated an allegation that one-sixth of the constituency party delegates at Morecambe were communist or communist-inspired. He drew the conclusion that at a time when communist policy was to infiltrate the Labour movement, the Bevanites were assisting them by their disruptive activities. Then, in a direct reference to us and our pamphlets, he went on: "It is time to end the attempt at mob rule by a group of frustrated journalists and restore the authority and leadership of the solid, sound, sensible majority of the movement.' He referred to 'the stream fit grossly misleading propaganda, with poisonous innuendoes and malicious attacks on Atlee, Morrison and the rest of the leadership." For the past fortnight, the House has debated the cost in political and moral terms of the Government's action in Suez. Today we have to count the reckoning in economic terms as well. When I say 'in economic terms' I do not mean merely the cost in terms of government expenditure. We are no longer in the days of nineteenth-century colonial wars, when the cost of these ventures could be reckoned in terms of another tuppence on the income tax or another penny on tea. I hope that the Chancellor or the Minister of Supply will tell the House frankly today what, in the view of their advisers, will be the economic consequences of this military action. After all, it was long prepared. What estimates did the Government make of its costs and its economic consequences? What estimates do they make now? Much has been written about Harold Wilson and MI5, some of it wildly inaccurate. But as far as I am concerned, the story started with the premature death of Hugh Gaitskell in 1963. Gaitskell was Wilson's predecessor as Leader of the Labour Party. I knew him personally and admired him greatly. I had met him and his family at the Blackwater Sailing Club, and I recall about a month before he died he told me that he was going to Russia. After he died his doctor got in touch with MI5 and asked to see somebody from the Service. Arthur Martin, as the head of Russian Counterespionage, went to see him. The doctor explained that he was disturbed by the manner of Gaitskell's death. He said that Gaitskell had died of a disease called lupus disseminata, which attacks the body's organs. He said that it was rare in temperate climates and that there was no evidence that Gaitskell had been anywhere recently where he could have contracted the disease. Arthur Martin suggested that I should go to Porton Down, the chemical and microbiological laboratory for the Ministry of Defense. I went to see the chief doctor in the chemical warfare laboratory. Dr. Ladell, and asked his advice. He said that nobody knew how one contracted lupus. There was some suspicion that it might be a form of fungus and he did hot have the foggiest idea how one would infect somebody with the disease. I came back and made my report in these terms. The next development was that Golitsin told us quite independently that during the last few years of his service he had had some contacts with Department 13, which was known as the Department of Wet Affairs in the KGB. This department was responsible for organizing assassinations. He said that just before he left he knew that the KGB were planning a high-level political assassination in Europe in order to get their man into the top place. He did not know which country it was planned in but he pointed out that the chief of Department 13 was a man called General Rodin, who had been in Britain for many years and had just returned on promotion to take up the job, so he would have had good knowledge of the political scene in England. In their rush to get into Europe they must not forget the four-fifths of the world's population whose preoccupation is with emergence from colonial status into self-government; and into the revolution of rising expectations. If this is so, is the world organization not to reflect the enthusiasms and aspirations of the new members and new nations entering into their inheritance, often through British action, as the Prime Minister said, and who want to see their neighbours also brought forward into the light? It must be recognized that this is the greatest force in the world today, and we must ask why it is so often that we are found, or thought to be found, on the wrong side. The record of this country since the war, under both Governments, is good enough to proclaim to the world - India, Pakistan, Burma, Ceylon, Ghana, Nigeria, Tanganyika and Sierra Leone and, even after the agonies, Cyprus. Why do we contrive it that in the eyes of the world we are so often allied with reactionary governments, whose record in the scales of human enfranchisement weigh as a speck of dust against real gold and silver as far as our record is concerned? Why is it that the British Foreign Secretary speaks in accents of the dead past, as though he fears and resents the consequences of the very actions which his Government as well as ours have taken? Not only in this country but abroad people are asking, 'Who is in charge? Whose hand is on the helm? When is the Prime Minister going to exert himself and govern?' I do not believe that he can. The panache has gone. On every issue, domestic and foreign, now we find the same faltering hand, the same dithering indecision and confusion. What is more, Hon. Members opposite know it, and some of them are even beginning to say it. During my several visits to the Soviet Union I had discovered that 60 per cent of their engineers had got their degrees in part from distance teaching. Then, in March 1963, a Labour Party study group under the chairmanship of Lord Taylor presented a report on higher education in general and commented on the continuing exclusion of the lower-income groups. They also proposed an experiment on radio and television for serious planned adult education. Vaguely Liberal at Oxford, and a civil servant during the war, Harold Wilson had won fame as Attlee's President of the Board of Trade, by promising 'a bonfire of controls'. He applied himself seriously to Labour Party politics for the first time when he threw in his lot with Bevanism in 1951, as 'Nye's little dog', to use Dalton's words. Then, as Bevan's star faded, he moved far enough towards the centre to be elected leader of the Labour Party when Gaitskell died in 1962. By now he had become an accomplished speaker; he roused the Party Conference to wild enthusiasm by talking of 'the white heat of the technological revolution'. In the General Election of 1964 he made rings round the skeletal inadequacy of Sir Alee Douglas-Home. No prime minister ever interfered so much in the work of his colleagues as Wilson did in his first six years - though I am glad to say that he gave me a pretty free hand on defence, except when there was a crisis. Unfortunately, since he had neither political principle nor much government experience to guide him, he did not give Cabinet the degree of leadership which even a less ambitious prime minister should provide. He had no sense of direction, and rarely looked more than a few months ahead. His short-term opportunism, allied with a capacity for self-delusion which made Walter Mitty appear unimaginative, often plunged the government into chaos. Worse still, when things went wrong he imagined everyone was conspiring against him. He believed in demons, and saw most of his colleagues in this role at one time or another. I was no exception. Fearing that if he left a minister too long in the same department he might develop a power-base from which to challenge him, he shifted his ministers around far too often. Twenty years later it is possible to make a balanced assessment of Harold Wilson's contribution to our political life, particularly in his first period as Prime Minister. There was then no doubt about his skill as a professional politician. Although he won the 1964 general election with a majority of only four, his personality appealed to a considerable section of the electorate, and he certainly developed a manner which carried the viewer, the listener and the reader with him. After the 1966 election, however, he never hesitated to reverse his position when he found his own forces lining up against him. Barbara Castle's attempt at trade union reform was a major example of this. He also had little lasting success in foreign affairs, and became far less effective after the elections of 1974, when he had not really expected to win again. He was already tired and no longer possessed that freshness and energy which had previously served him so well. Nevertheless it came as a surprise when he resigned on his sixtieth birthday. It may be that he himself already realised the impact which his illness, later to prove fatal, was having upon him. Jim Callaghan later told me that he thought that Wilson had realised soon after 1974 that he was past it. 'That,' I said, 'rather backs up what Roy Jenkins said to me recently, namely that Wilson was ten years older than he had publicly admitted and, when he resigned, he was really seventy and not sixty.' 'Yes, that is very interesting,' commented Jim, 'and I suppose that, when all those well-known photographs were taken of him outside No. 10 when he claimed to be eleven, he was really twenty-one!' 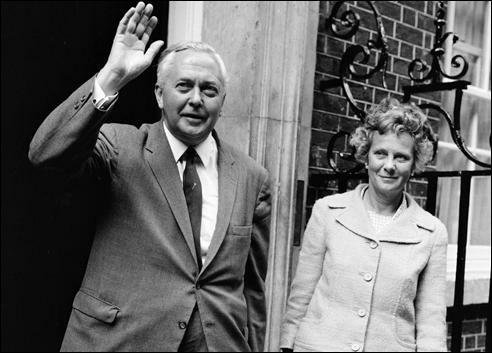 Harold Wilson's lasting achievements are difficult to discern, except for the fact that he held the Labour Party together for nearly fifteen years, whereas under his successors it collapsed, thereby helping to sustain eighteen years of Conservative government. 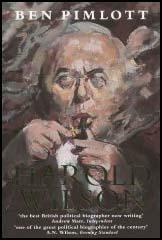 Harold was, above all else, a great political survivor, a fine politician if, perhaps, never truly a statesman. 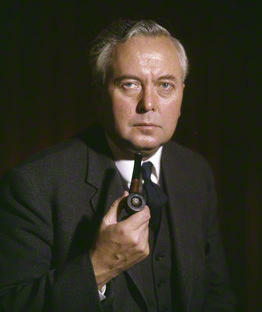 The major problems inside MI5 concern its relationship with the former Prime Minister Harold Wilson. As the Minister responsible for trade in the Attlee Government, he attempted to increase exports to the USSR. He constantly ran up against United States Government opposition towards any growth in such trade. Wilson felt that the United States used the hysteria of the cold war to prevent Britain from increasing its trade with the USSR. His was not a position that was likely to be viewed with favour in MI5. In fact, there was near hysteria in MI5 when he was sent to the USSR to negotiate the sale of 20 advanced jet engines. Wilson was only a junior Minister carrying out a Cabinet decision, but from that point on he was viewed with suspicion by MI5 officers. When the unexpected death of Hugh Gaitskell led to the election of Wilson in 1963, MI5 immediately tried to recruit Wilson's campaign manager, George Caunt, to spy on the Labour leader. Shortly before the 1964 election, the FBI told MI5 that it had discovered a KGB mole who had been operating inside MI5 in the key post-war period. The fact that Sir Anthony Blunt was a KGB agent and had close connections with the Queen was certain to create a spy scandal as damaging as that of Kim Philby. Even worse for MI5 was the knowledge that it had been tipped off about Blunt's spying a decade earlier and had failed to take action. It now feared that Wilson would use the opportunity of the scandal to dismember its organisation. Sir Roger Hollis, then director-general of MI5, and Arthur Martin, head of the counter-espionage department, decided on a cover-up and did not even tell the outgoing Tory Prime Minister, Harold Macmillan. Instead, Blunt was granted immunity and was interrogated by Peter Wright, who made the position clear in Spycatcher, when he wrote: "We had strict orders from successive Director-Generals to do nothing that might provoke Blunt to go public." All that was concealed from Wilson when he became Prime Minister, and he was also not informed when Hollis and his deputy, Graham Mitchell, eventually came under suspicion as KGB moles. Other news was kept from Wilson. In 1961, Anatoli Golitsin, a KGB defector, had arrived in the USA with all sorts of wild allegations few of which yielded anything of substance except the identity of the Admiralty spy, John Vassall. By coincidence, shortly after Wilson's election as Leader of the Opposition, Golitsin was sent to Britain to be interviewed by MI5. His agreed fee was £10,000 a month - £70,000 at today's prices - which was a considerable incentive to keep the interest of his MI5 hosts. Although he had made no mention of it during his two-year interrogation in the USA, Golitsin now told MI5 that he had heard of a KGB plot to kill the leader of a west European political party so that its man could take over. That was all that Peter Wright and other extreme right-wingers inside MI5 needed to confirm the suspicions that had been hanging around ever since the jet engine trade deal and Wilson's annual visits to the USSR while in opposition. They believed that the assassinated party leader had to be Gaitskell. Oblivious to the suspicions of MI5 and the CIA, the new Labour Prime Minister Wilson issued instructions that MI5 was to stop tapping the telephones of Members of Parliament, although it never occurred to him that MI5 could continue to get access to the information gleaned from taps on Members of Parliament run by the CIA or GCHQ. He also instructed that MI5 should stop using Members as agents without knowing that one Tory Member, Captain Henry Kerby, had been used by MI5 to ingratiate himself with Wilson's shadow Cabinet colleague George Wigg by spying on the Tory party for Wigg. It gives one great encouragement that such people might have a greater role in law enforcement in the future. The instructions from Wilson caused deep resentment inside MI5, where some officers retaliated by leaking damaging bits of gossip about members of Wilson's Government from MI5 files to the press. That was of course a breach of the Official Secrets Act 1911, but no one has ever been prosecuted. MI5 believed that seven members of Wilson's Government and three other Labour Members of Parliament were either spies or at the very least security risks. Only one of those 10, Will Owen, the Member of Parliament for Morpeth, eventually turned out to be guilty. He had been taking £500 a month from Czechoslovakian intelligence in exchange for low-grade information that it could most probably have got cheaper by buying Hansard and reading the quality press. All the other names on MI5's list were completely innocent, but that did not stop MI5, in particular Peter Wright, hounding Bernard Floud, who had been devastated by the death of his wife. MI5 pursued him until he finally committed suicide in a moment of despair. When Treasury Minister Niall MacDermot had his promotion to the Cabinet blocked following MI5 pressure on Wilson, he resigned from politics in disgust. The other seven Members on MI5's list were John Diamond, Tom Driberg, Judith Hart, Stephen Swingler, John Stonehouse, Barnet Stross and, of course, Wilson. The MI5-inspired rumours about Wilson eventually reached the ears of former Prime Minister and Leader of the Opposition, Sir Alec Douglas-Home, who asked James Scott-Hopkins, a former MI6 officer who had become a Tory Member of Parliament, to conduct his own investigation to discover whether there was any danger of Wilson's being blackmailed. In the summer of 1967, people from MI5 met people from the CIA, the FBI and the Australian and New Zealand security services in Melbourne, Australia, where they were addressed by Golitsin about his Wilson allegations. Matters began to hot up when the press baron Cecil King, a long-standing MI5 agent, began to discuss the need for a coup against the Wilson Government. King informed Peter Wright that the Daily Mirror would publish any damaging anti-Wilson leaks that MI5 wanted aired, and at a meeting with Lord Mountbatten and the Government's chief scientific adviser, Solly Zuckerman, he urged Mountbatten to become the leader of a Government of national salvation. Lucky old Britain. Zuckerman pointed out that that was treason, and left the meeting. The idea came to nothing because of Mountbatten's reluctance to act. The late Harold Wilson was not the only one under suspicion. While the right hon. Member for Old Bexley and Sidcup (Sir E. Heath) was Leader of the Opposition, the Tory Member of Parliament, Captain Henry Kerby - as I have explained, he was an MI5 agent who had ingratiated himself with George Wigg - was used to spread rumours that the right hon. Gentleman was a homosexual who had had an affair with a Swedish diplomat. Doubts about the right hon. Member for Old Bexley and Sidcup were not confined to the more extreme elements who clustered round Peter Wright. The newly appointed head of MI5, Mr. Hanley - otherwise known as Jumbo - did not inform the right hon. Gentleman that investigations were taking place to try to determine whether Sir Roger Hollis had been a KGB agent. The head of MI5 did not inform the Leader of the Opposition of MI5's doubts about Wilson, either, or reveal the contents of the file on Wilson that he had inherited from his predecessor, Furnival Jones, and which was kept in his safe, filed under the name "Henry Worthington". The second factor that increased MI5's alarm at the time was the rise in trade union militancy and the swing to the left in the Labour party. Any pretext that MI5 existed to catch Russian spies went right out of the window at that point. From 1972, there was a vast growth in the sections of MI5 that were involved with domestic surveillance. Trade unionists, peace campaigners, Cabinet Ministers and political activists in their tens of thousands became the objects of illegal telephone taps and letter intercepts. Recruitment of agents on a scale not considered necessary even at the height of the cold war meant that, by the mid-1970s, even a small group of left-wingers meeting anywhere was likely to have an MI5 agent reporting back on its activities. By the end of the 1970s, 2 million British citizens had security files held on them by MI5. A constant drip of innuendo about Wilson's loyalty was fed by MI5 to Private Eye, and Michael Halls, the liaison officer between No. 10 and MI5, considered Marcia Williams to be a security risk and funnelled damaging smears about her and Wilson to Private Eye. As Peter Wright put it in his book: "most people in MI5 didn't have a duty to Parliament. They have a duty to the Queen . . . It's up to us to stop Russians getting control of the British government." Although it is easy to dismiss some of what I have described as the work of a lunatic fringe, the views of MI5 chief Sir Michael Hanley are well known. When he was asked at a seminar for junior MI5 officers what would happen if Michael Foot became Prime Minister, he replied: "I and every other officer in the service will have to consider our position." Other officers in MI5 did not share Hanley's sense of resignation, and 30 MI5 officers, including Peter Wright, engaged, on Wright's own admission, in 23 criminal conspiracies and committed 12 acts of treason against the elected Government of the day. Finally, what was happening came to the attention of Sir Maurice Oldfield, then head of MI6, who took Wright to dinner at Lockets restaurant in July 1975 and asked him about the extent of the plot in MI5 against Wilson. Having heard Wright out, Oldfield told him to put MI5 chief Hanley in the picture. This Wright did the next day, and in his book he says: "Hanley . . . went white as a sheet . . . he was learning that half of his staff were up to their necks in a plot to get rid of the Prime Minister." When we consider that record, we realise that it involves more than one or two eccentrics such as Peter Wright, and that there is clearly a culture of extreme right-wing politics in MI5, which has been there throughout this century. Occasionally there are brought to the surface very deep links with individual Conservative Members of Parliament who have been able to use MI5, disinformation and black propaganda to damage Labour Members of Parliament and Governments. The extent to which the Security Service suspected trade union leaders and protesters of being potential subversives during the cold war has been revealed with the publication of the official history of MI5. Targets for surveillance included Jack Jones, the doyen of the Labour movement, and the Greenham Common women's peace camp. The book, The Defence of the Realm, suggests that leaders of both main political parties were often more keen than MI5 to monitor the activities of their MPs or trade union leaders. The authorised history, by the Cambridge historian Christopher Andrew, says Jones, who the Guardian has been told was the subject of more than 40 volumes in MI5 archives, was not "being manipulated by the Russians". But Andrew says MI5 was "right to consider the possibility that he was". Britain's top spy in the KGB, Oleg Gordievsky, said Moscow "regarded Jones as an agent" and he provided it with Labour party NEC documents, Andrew writes. 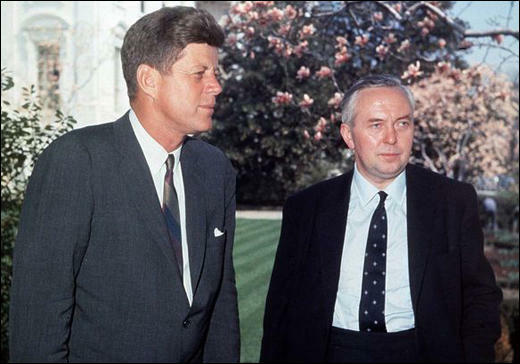 He adds that Jones received some money from the KGB, though the trade union leader broke contact with Moscow after the 1968 Soviet invasion of Czechoslovakia. Three Labour MPs are named as Soviet bloc agents: John Stonehouse, who became postmaster general in Harold Wilson's government, Bernard Floud and Will Owen. The three were "outed" by a Czech defector but there is no evidence they passed over sensitive information. MI5 opened a file on Wilson under the name Norman John Worthington. Officials were alerted by his east European friends and his role in trade with the Soviet Union. Andrew dismisses claims of a "Wilson plot" under which MI5 tried to smear the Labour prime minister and destabilise his administration. However, a footnote in the 1,000-page history says that claims Wilson was a Soviet agent derive from conspiracy theories perpetuated by a KGB defector, Anatoli Golitsyn. Andrew adds: "Sadly, a minority of British and American intelligence officers … were seduced by Golitsyn's fantasies." This is a strange and rather suspect production. Inside its more than 1,000 pages, there seem to be two different volumes. The first is a ripping read and just the kind of work one would hope for from a well-qualified academic who has been given the run of MI5's treasure trove of files. It is scrupulously documented, covering both the glory days of war, when MI5's deception operations outsmarted Hitler, and the later nightmare penetrations by the double agent Kim Philby and friends, in which the KGB thoroughly outsmarted the British. Book two, however, is a different matter. This covers more sensitive occasions when MI5 officers have been accused of batty behaviour, including the persecution of "subversives", deranged denunciations of one another, and the targeting of the Labour prime minister Harold Wilson. Christopher Andrew's book has been sanitised in "an extensive clearance process involving other departments and agencies". The present head of MI5, Jonathan Evans, writes that information has been censored not only for "national security" but also "if its publication would be inappropriate for wider public interest reasons". So readers are asked to take much on trust as they plough through reams of uncheckable footnotes merely labelled "security service archives" or "recollections of a former security service officer". When it comes to the Wilson affair, Andrew's scholarship appears to slip. He repeats insistently the MI5 party line that there never was misbehaviour against Wilson or his ministers by "the Service", and that it was all mere conspiracy theories. Yet he withholds the fact that the cabinet secretary Lord Hunt authoritatively confirmed the central allegation. Hunt, who conducted a secret inquiry, said in August 1996: "There is absolutely no doubt at all that a few, a very few, malcontents in MI5 . . . a lot of them like Peter Wright who were rightwing, malicious and had serious personal grudges – gave vent to these and spread damaging malicious stories about that Labour government." Separately, Andrew is silent on the well-documented case in which Wilson's treasury minister, Niall McDermot, was driven from office in 1968 when Patrick Stewart of MI5 accused his Russian-born wife of having KGB contacts. It was a most unpleasant miscarriage of justice. Andrew does, however, write his own chapter on Wilson. He calls it "The 'Wilson Plot'". Puzzled readers may conclude that he is seeking, bu using those quotation marks, to explode the 1988 book of that title, written by this reviewer who coined the phrase. Yet no references at all follow in the footnotes or bibliography. It has become an Un-book, and the reader is not able to consider its countervailing evidence. Nonetheless, it turns out in the end that Andrew must be using a sort of code. To one's surprise, underneath the MI5-approved bluster against "conspiracy theories", there lurks the real story in obscure footnotes and cryptic mentions. 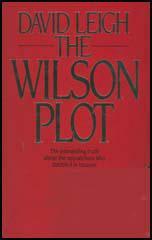 Andrew has in fact substantiated the thesis of the "Wilson plot", and more besides. It transpires that there is even more damning material in the MI5 files than was ever realised. For example, the Labour MP Bernard Floud was indeed bullied with false allegations that he was a communist while in a state of grief after his wife's death. Thanks to the files, Andrew exonerates him and confirms that Peter Wright lied about the relevant dates of interrogations to try to make Floud look guilty. Dramatically, it is confirmed that there was indeed a secret Wilson MI5 file, under the pseudonym "Worthington". (One of my own errors is corrected. It was "Norman" not "Henry" Worthington.) The file was opened in 1947, when a communist civil servant spoke approvingly about Wilson on a tapped phone. It detailed Wilson's postwar trips to Moscow working for a timber firm (which we knew of) and his secretly observed encounters in London around 1955 with an undercover KGB man called Skripov (which we didn't). There is more. Wilson's Lithuanian manufacturer buddy Joe Kagan was indeed discovered in 1971 to be hanging out with another undercover KGB officer, Richardas Vaygauskas, and the prime minister's friendships were indeed put under prolonged MI5 scrutiny, just as has been alleged. And finally it transpires that a KGB defector, Anatoliy Golitsyn, could have seen the file the Russians once temporarily opened on Wilson. "Golitsyn . . . claimed . . . that Wilson was a Soviet mole. When [the Labour leader Hugh] Gaitskell died suddenly in 1963, Golitsyn developed the . . . theory that he had been poisoned by the KGB to enable Wilson to succeed him . . . Sadly a minority of British and American intelligence officers . . . among them Angleton [head of CIA counter-intelligence] and Wright [MI5 assistant director] . . . were seduced by Golitsyn's fantasies." So, apparently, the "Wilson plot" was true enough after all. It just seems to be impermissible for an official author to say so too loudly. Blunders usually arise out of the taking of a positive action, albeit one that is ill-advised, but occasionally they result from a decision not to act in a certain way even though the option of acting in that way is readily available. Probably the biggest single blunder committed by Harold Wilson's post1964 Labour government was its decision not to devalue the pound, if not immediately, then at least within a year or two of taking office. Ministers were divided on the issue, hut Wilson and his chancellor of the exchequer, James Callaghan, were adamant that devaluation would damage Labour politically, tarnish Britain's international reputation and relax the economic pressures on British industry to reform and modernise itself. From late 1964 onwards, Wilson as prime minister forbade ministers from discussing even the remote possibility of devaluation. But the financial markets had other ideas. They decided that, whatever the government might think, the pound was overvalued and would have to be devalued sooner or later. Eventually, in November 1967, amidst mounting market pressures, Wilson and Callaghan did devalue it. Callaghan felt honour-bound to resign as chancellor. Wilson as prime minister clung on. Two of the most spectacular government blunders of the postwar period - one by Harold Wilson's first Labour government, the other by Edward Heath's Conservative government - concerned industrial relations. Both were committed against a backdrop o£weak industrial management, belligerent trade unions and rampant restrictive practices. The postwar decades in Britain witnessed a seemingly endless succession of "wildcat" strikes, works-to-rule, go-slows and demarcation disputes between workers belonging to rival unions - in short, by every imaginable form of industrial disruption. The Wilson and Heath governments set out, by legislative means, to tilt the balance of power in industry away from the unions towards employers and to curb the power within individual trade unions of "irresponsible" leaders and militant shop stewards. Both attempts failed miserably. It was left to Norman Tebbit more than a decade later to tread more warily. In January 1969, the Wilson government published a White Paper entitled In Place of Strife. It was intended to be a preliminary to legislation and proposed to give the government and a newly created Commission on Industrial Relations powers to order a ballot of workers in the case of some industrial disputes, to impose a "cooling-off" period in the case of some wildcat strikes and in extremis to fine unions in the case of some disputes between rival unions. Trade unions would be required to register with the new commission under pain of a fine. The White Paper included several proposals to strengthen the unions' position, but the unions' leaders were more impressed by the sticks in the paper than the carrots. They feared what a future Tory government might do. The Trades Union Congress (TUC) came out in opposition to the document and, with the support of Labour backbenchers and Labour ministers, forced the cabinet, including the prime minister, to back down. They withdrew the threat of legislation. Wilson and his main ally, the minister of labour, Barbara Castle, had seriously underestimated the strength of pro-union and anti-interventionist sentiment throughout the labour movement - a strange mistake for two long-serving Labour politicians to make.